The holy grail of hockey is being commemorated on a coin. 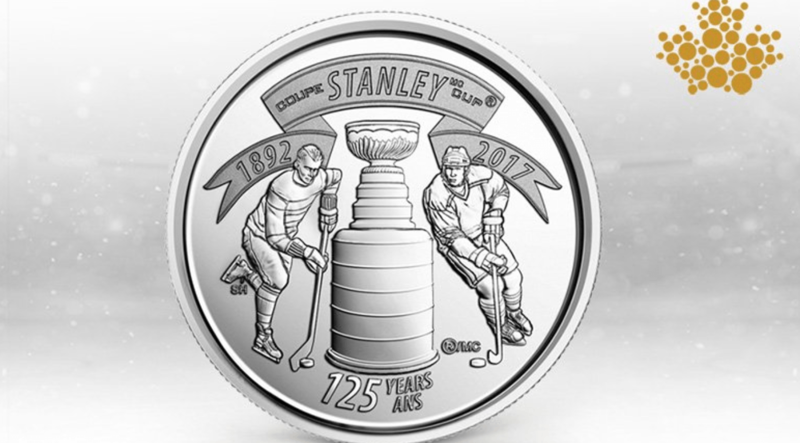 The Royal Canadian Mint has released a limited-edition Stanley Cup quarter to celebrate the trophy’s 125th anniversary. The cup was first awarded to the Montréal Amateur Athletic Association (MAAA) in 1893 and has since become one of the most celebrated sports trophies of all time. “Inspiring awe, hope and fascination wherever it travels, the Stanley Cup is more than just a trophy: it’s a national treasure intimately associated with a game that ignites deep passion and pride among Canadians— and is ingrained into our very sense of national identity,” the Royal Canadian Mint wrote in a release. The Stanley cup and two hockey players – one from hockey’s past and the other representing the game’s modern era – appear on the face of the coin. If you have always wanted to carry the Stanley Cup—or at least a mini version of it – in your pocket, it will cost you $2.50 on the Royal Canadian Mint’s website.